As a primary teacher, I'd always been slightly envious of intermediate teachers who were able to implement Minecraft-inspried lessons and Hour of Code. This is why I was really excited when Canadian Classroom contacted me last spring to try out one of their technology teaching tools in my Grade 3 classroom. If you've never heard of Canadian Classroom (I hadn't! ), much like their name suggests, they supply educational tools for the Canadian classroom. After having a look around at their website, I decided to test out the Blue-Bot Bluetooth Floor Robot. It seemed like a fun tool to introduce coding to my students. When the Blue-Bot arrived, we were in the midst of end of the school year craziness. I promised the students we could try it out on the last day of school. When that day finally arrived, the students could hardly contain their excitement. The Blue-Bot looked like a remote control bug, but it could be controlled by an iPad. When you're eight, it doesn't get much better than that! 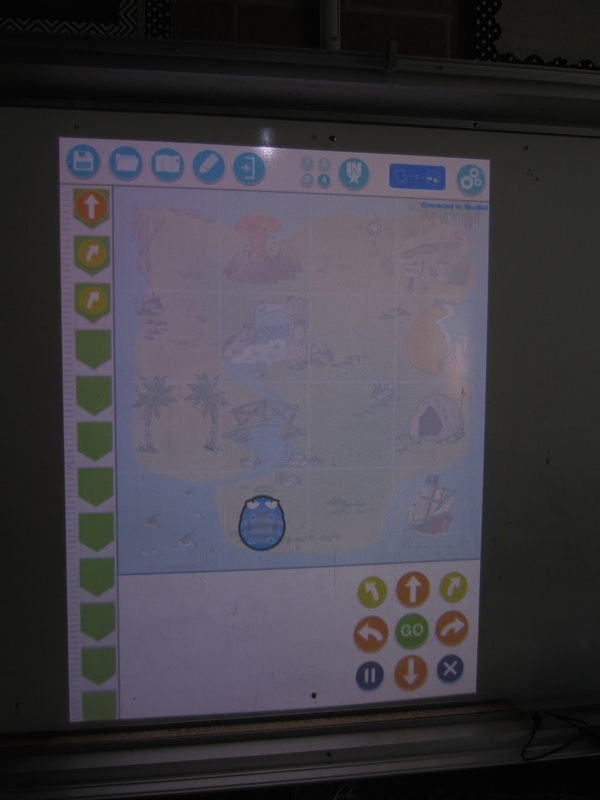 First, we projected the iPad screen onto the whiteboard using Air Parrot (similar to Apple TV), so everyone could see the commands as they were being programmed. Then, each student had a turn programming their commands with the iPad. The students squealed in delight while the Blue-Bot moved around the classroom and they were quick to pick up on the fact that the Blue-Bot could "catch" other students if they gave it the right commands. 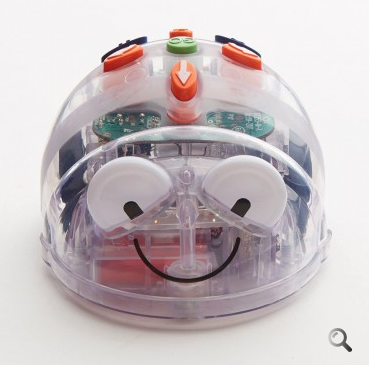 While my Grade 3 students loved using the Blue-Bot for a day, I doubt it would be something that would sustain its novelty for this age range. I think the target market for a Blue-Bot would be Preschool to early Grade 2. 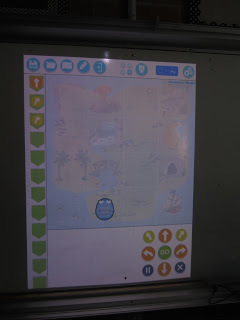 I can really see it working well to teach left and right, sequencing, or basic mapping skills like cardinal directions. At the end of the day, I brought the Blue-Bot home with me to box it back up. While there, the Blue-Bot found its target audience in my three-year-old daughter. She couldn't get enough of it and actually cried when I took it away from her. She was able to independently select the commands and we had fun making predictions about where the Blue-Bot would end up and whether it would stay inside the track we built out of Dominos. 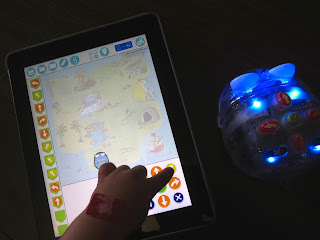 While coding is not directly part of the Canadian curriculum, I would recommend the Blue-Bot to early primary teachers, who are looking for a novel way to implement mapping skills in their classroom. Thank you, Canadian Classroom, for letting me try out the Blue-Bot (and for waiting so patiently for me to write my review)! Thank you for your review. If you feel the Bee-bot is not the best tool for teaching programming to your students then you should try the Pro-bot which could be used for teaching more advanced control techniques; we are sure it will catch your students attention for long time. Have you had any success taking pictures of the mat and then programming the Blue-bot from the app? I didn't have the mat when I tried out the product, so I don't know if this would work. I'm sure that Canadian Classroom can answer your question though.